Loss of hair in females is a lot more common than people think. 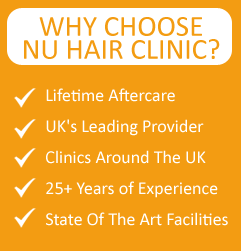 Clinics up and down the UK see hundreds of women each month who enquire about hair loss solutions and treatments. On occasion, many women contact professional surgeons and experts after researching and exploring other avenues about hair loss for women. Like with men, women are also exposed to female pattern baldness as they age and the ideal solution of hair restoration is to undergo a hair transplant. Losing your hair is often distressing, especially for women, some of which are unable to deal with it as easily as men. In a recent survey, 75% of females suffering some form of hair loss on their head said they felt a unique sense of shame and embarrassment. Furthermore, the results showed that it causes distress and social anxiety than at times when they had a full head of hair. Over the years, rumours and myths were floating around about how females do not lose their hair and hair loss is a thing only men experience. However, this is not only untrue, but much more common in the UK than people think, it is often brushed under the carpet or not brought up in conversations. Reason being is that people suggested that they felt less feminine than prior to losing hair. The reality is, science and facts show that there are around 25+ causes as to why women as well as men lose hair on their head. With the correct care, attention and treatment the cause can be resolved without surgery. If you are female and have concerns about hair loss, contact one of our professionals today for a friendly chat and advice about potential solutions for you and whether you need them. Common causes for women to lose hair include poor diet and nutrition, crash dieting from one to the next, some birth control tablets, hair styles that stress the scalp and extreme stress. In polls carried out up and down the country these were some of the most common, which when combated resulted in restoration of the lost hair. Other causes include iron deficiency, pregnancy, menopause, some medicines used for long term treatment and disease such as lupas. Lupas is an autoimmune disease where the body’s own immune system attacks normal healthy tissue and cells. If you are looking around the internet due to concerns of hair loss, you are probably aware of the term MPB – male pattern baldness. 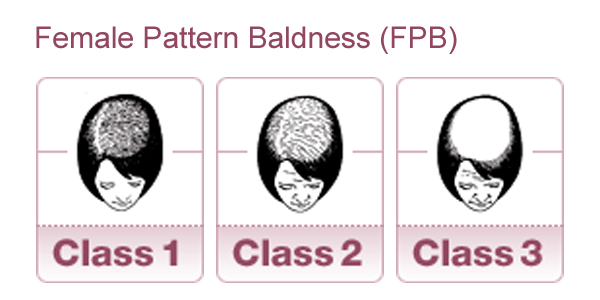 However, like men, a woman can also suffer from this condition known as FPB – female pattern baldness. This condition is also known as Alopecia Areata and affects approximately 5 million woman in the UK alone. 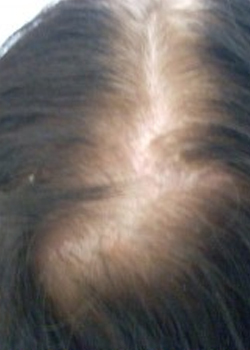 Complaints that help identify this possible condition include thinning of the hair on the head, resulting in a smaller hair shaft and hair line. This can be present in a number of places including the crown of the head. Talk to one of our experts today at a local clinic near you to discuss the options tailored to your individual needs and see how you can restore your hair and natural form. This entry was posted on Wednesday, January 14th, 2015 at 12:55 PM	and is filed under Hair Loss Treatment, Hair Transplant. You can follow any responses to this entry through the RSS 2.0 feed. Responses are currently closed, but you can trackback from your own site.